Today's featured product is Yogurt - specifically Greek Yogurt. For those of you not familiar with this, Greek yogurt is lower in sugar and higher in protein that regular yogurt. Now I will admit that the taste may take a little getting used to for some people. The plain version has a very distinctive, tart flavor. However, adding a little fruit or honey definitely helps. 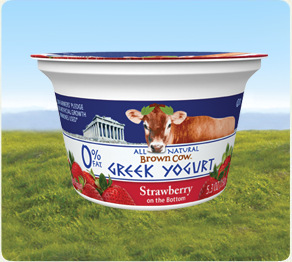 Many of the companies who make Greek Yogurt are now coming out with flavored versions as well. Now that it's becoming a popular choice for people looking for healthier options, a lot of yogurt companies are jumping on the band wagon to produce their own versions. 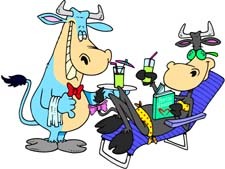 For me, I like the companies who were the original pioneers so I'm sticking with my two personal favorites: Chobani and Brown Cow. Now if you want flavored yogurt, my preference is Brown Cow. I especially like the strawberry and honey versions. It has a very smooth, rich texture and you can add fruit if you want but it's great on it's own as well. Hubby: "What are you making? Me: It's a new recipe. Hubby: Oh....so we're the guinea pigs? Me: You haven't tried it yet. I'm wondering what the response would be there? 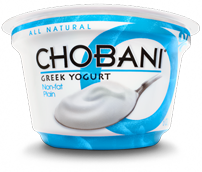 I LOVE Chobani too, and they recently started carrying it in our local Save-a-Lot store (like Aldi's)--Bonus!! I hadn't tried the plain until just recently, and you're right, it does taste just like sour cream. I mixed a little powdered ranch dressing mix with it and used it as a dip, delicious!